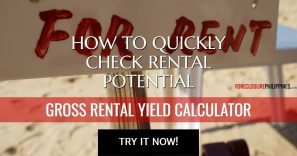 In my last post, I shared how to compute for the ROI for rental properties. 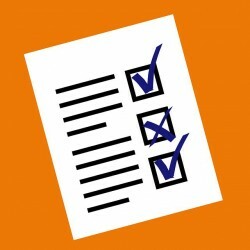 This will help determine if a foreclosed property can be a good rental. 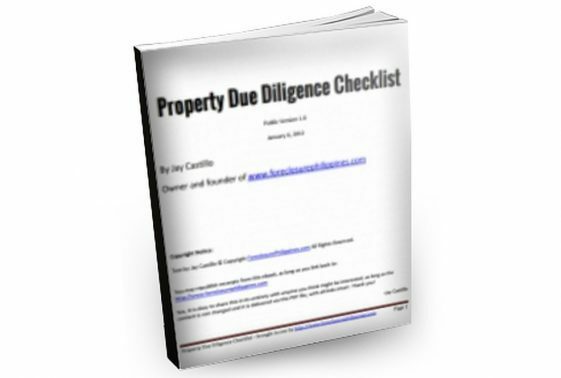 However, before you do a detailed analysis, you should at least do a quick analysis to shorten the list of prospect properties, especially with so many foreclosed properties available out there. But how does one do a quick analysis of a property? Let me show you how I do it. 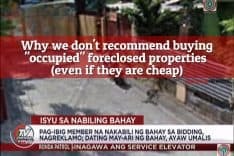 I start off by checking the listing of foreclosed properties if there are properties in my area of focus, which includes Marikina, Pasig, Cainta, Antipolo, Mandaluyong, Makati, San Juan, and Quezon City (excluding Novaliches). I have limited my focus to these areas since these are in my general vicinity, and can be reached in 30 minutes to 1 hour (including allowance for traffic jams). Distance is important since (1) I do not want to spend precious time going back and forth to a property and (2) I don’t want to waste money on fuel. If I get a property that is far from my house, I would be spending a lot of time whenever I do my inspection, accompany contractors, or even when I show the property to prospective buyers. If I see properties that are not in my area of focus, I just skip them. Of the remaining properties that are in my area of focus, I check those which are within my budget or the budget of my target buyers. Currently, my budget is up to Php2 Million only for properties listed for public auction. How did I arrive at this amount? First, I believe that this is the loan amount that a bank would surely approve, taking into consideration my earning ability. With this cap, it would not be too difficult to come up with the downpayment, which is around 10% to 20% of the purchase price. P2M is my absolute maximum amount and it would be a waste of my time to check out properties that I cannot afford. 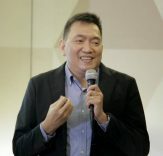 For properties open to negotiated sale, P2M is my maximum offer too, but since my target is to submit offers below 40% of the indicative price, my actual threshold is P3.33M (P3.33M less 40% is P2M). From all those properties that are within my budget, I check the descriptions and exclude any properties that are only lots. I would prefer properties that are described as house and lots, apartments, condos, and townhouses, or anything that says lot w/ improvement. Most properties described as lot w/ improvements would have dilapidated structures as improvements but you just might be surprised when you find one that turns out to be a house, an apartment, or even a building. Why do I exclude “lot only” properties by the way? 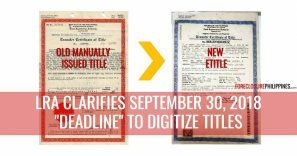 Lots are harder to sell because they are not readily usable. It is also difficult to have them leased so it would take a lot of time before you can get any income out of them – remember that holding costs can kill your profits. I then check the floor areas of the remaining properties. Those which have the biggest floor areas are more promising and have better value. The smaller the floor area, the less favorable it is for me. Do take note that if a property has less than 20sqm floor area, then its probably a parking slot. Some may argue that parking slots are good investments but most of the time you can’t just buy a parking slot, you also have to own a unit on the same condo or building. I would then inquire with the banks about the properties left using the questions I enumerated in my post about the 31 questions you need to ask when inquiring about a foreclosed property. Helpful tip: You can skip questions that already have answers on the ad. If I focus on doing this quick analysis on any particular public auction listing I have posted recently, I can finish this in about half an hour or 1 hour tops. The properties which have passed the quick analysis will then be subjected to a more detailed analysis like checking the projected ROI if I were to have a property rented out. Determine your areas of focus and exclude properties outside these areas. Possible reasons for choosing your area of focus are the following: distance to your house, your familiarity with the area, etc. Determine your budget. You should be able to afford the downpayment and be sure that the bank will grant you a loan for the cost of the property. Check the descriptions of the properties left. Choose lots with improvement and exclude lots only. Check the floor areas of the remaining properties. The bigger the floor area, the better as they should have better value. 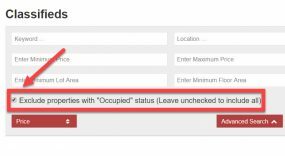 I would like to emphasize that the purpose of these steps are only meant to shorten the list of candidate properties. You still need to do a detailed analysis to determine if a property will really be a profitable investment worth buying. It’s not as hard as it looks! What are you waiting for, go ahead and start analyzing those properties! 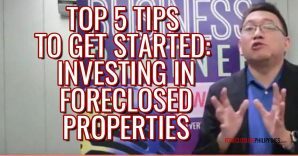 Previous PostForeclosure investing is not really just about the money, it’s about financial freedom! Next PostIs it really possible to gain financial freedom through real estate investing?